Weird and thought-provoking, The Eternal Sunshine Of The Spotless Mind explores the intertwining destiny and meaning of relationships through a warped mirror. From the uniquely creative mind of screenwriter Charlie Kaufman, the film lingers in the memory long after the credits fade. The movie is told in a non-linear format, with the added challenge of intermingling conscious and subconscious scenes. The editing, by Iceland's Valdís Óskarsdóttir, consists of an intentional and almost random jumbling of sequence and reality. 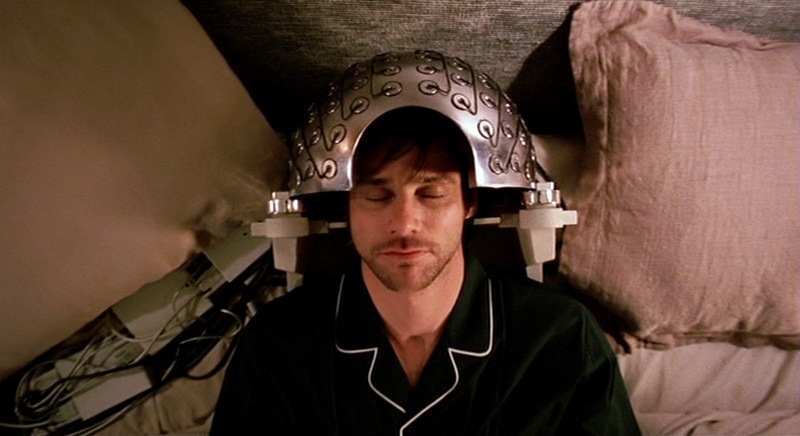 The end result works brilliantly as a puzzle, but The Eternal Sunshine Of The Spotless Mind is a movie to be experienced and untangled, rather than simply viewed. 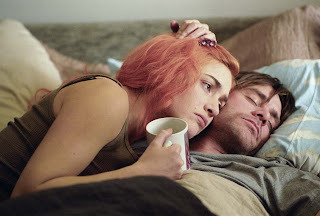 Introverted and awkward Joel (Jim Carrey) does not seem to have anything going for him in life until he meets and falls in love with free-spirited Clementine (Kate Winslet). Although initially they seem perfect for each other, the relationship sours over time, and they grow frustrated with each other. On a whim, Clementine retains the services of a dodgy agency named Lacuna Inc. and erases Joel from her memory, leaving him devastated. Run by Howard (Tim Wilkinson) with the assistance of technicians Stan (Mark Ruffalo) and Patrick (Elijah Wood) and receptionist Mary (Kirsten Dunst), Lacuna specializes in targeted memory elimination to remove the pain of broken hearts. Joel decides to erase Clementine from his memory, but under heavy sedation during the night-long procedure, he has second thoughts, and attempts to save precious memories of Clementine. Meanwhile, Patrick is lusting after Clementine, Stan is frolicking with Mary instead of paying attention to Joel's procedure, and Mary discovers an unwelcome secret about Howard. Kate Winslet and Jim Carrey are unforgettable as Clementine and Joel, a couple either meant to be together or doomed to heap misery on each other. 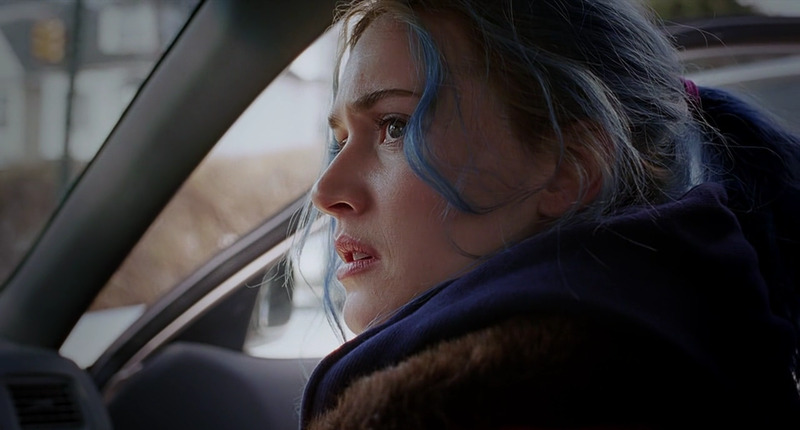 Winslet gives Clementine by far the more dominant personality, shooting determination from searing eyes and expressing her mood with ever-changing, never subtle hair colours. Carrey demonstrates his latent talent beyond slapstick comedy, his subdued Joel an insecure man beaten down by an unfulfilling life and surrendering to forces that he has long since abandoned any expectation of controlling. The foursome of Wilkinson, Ruffalo, Wood and Dunst ensure that Lacuna Inc. is a most inadvertently unprofessional organization purporting to provide quasi-medical services, while providing Eternal Sunshine Of The Spotless Mind with an entertaining secondary cast. Where Kaufman could have done better is in providing more of a backstory for Joel and Clementine. The two central characters are only introduced in the context of their relationship, and precious little else is revealed about their backgrounds. For all their travails, they remain vaguely detached as characters deserving of empathy: without each other, Kaufman provides few reasons to care for them. Director Michel Gondry, with deep roots in the music video and commercial industries, has the perfect experience to perfectly balance Eternal Sunshine Of The Spotless Mind between charming and unhinged. Most of the film thrives on an unending barrage of quick cuts and dizzying visual effects, but Gondry assembles it in a manner that recalls the matter-of-factness of a dream, where incredible events are just normal. The film asks whether emotion-packed relationships can ever be truly left behind, and whether to love and experience deep hurt is better or worse than never loving at all. In the most roundabout way, Eternal Sunshine Of The Spotless Mind presents the argument that although the pain is sometimes unbearable, the great loves of life are indeed eternal.